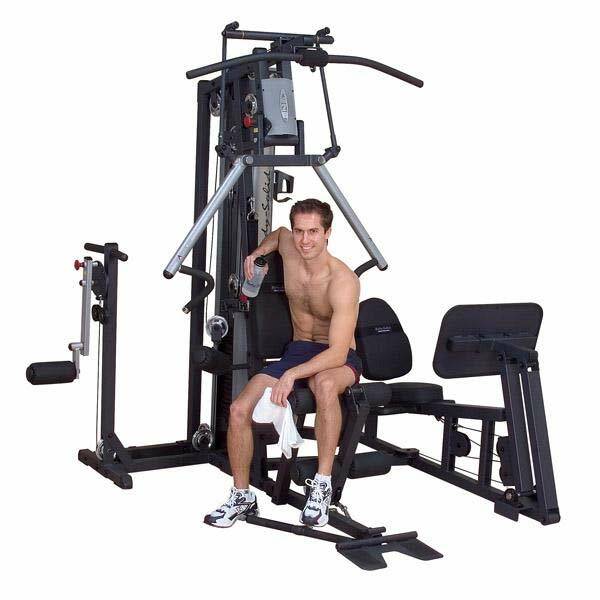 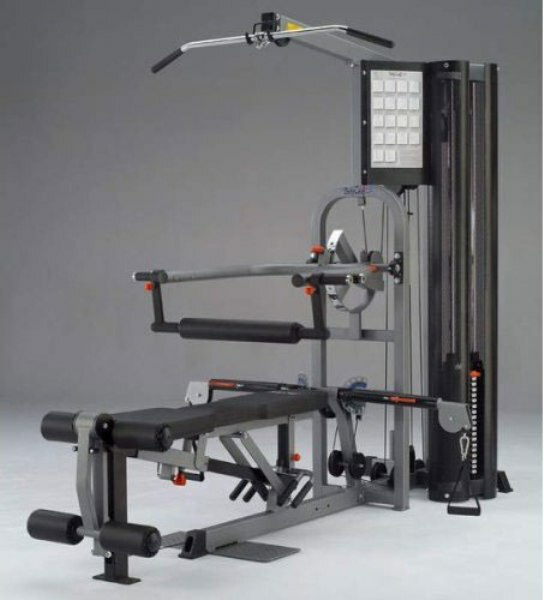 Patented Bi-Angular® converging press station replicates free weight dumbbell presses and provides 25% more muscle interaction. 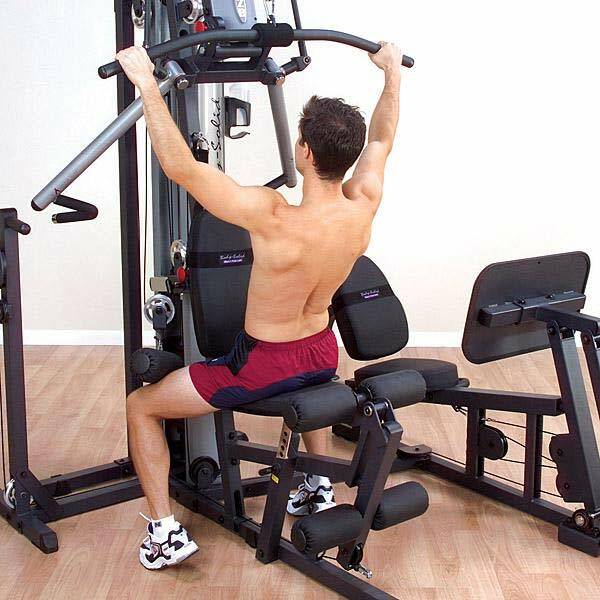 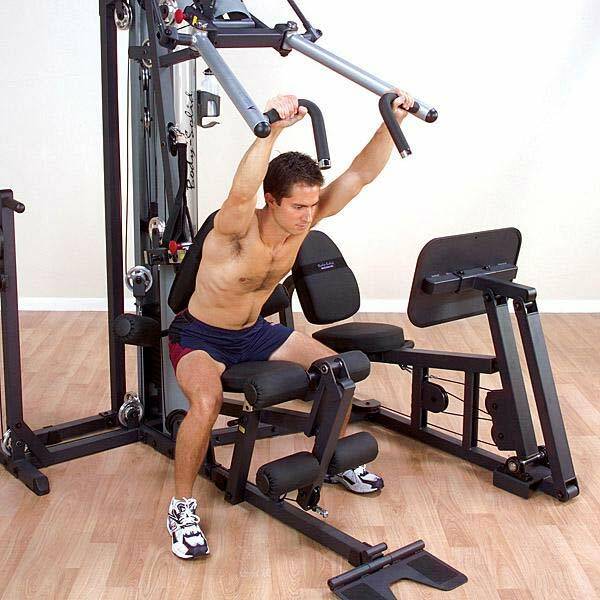 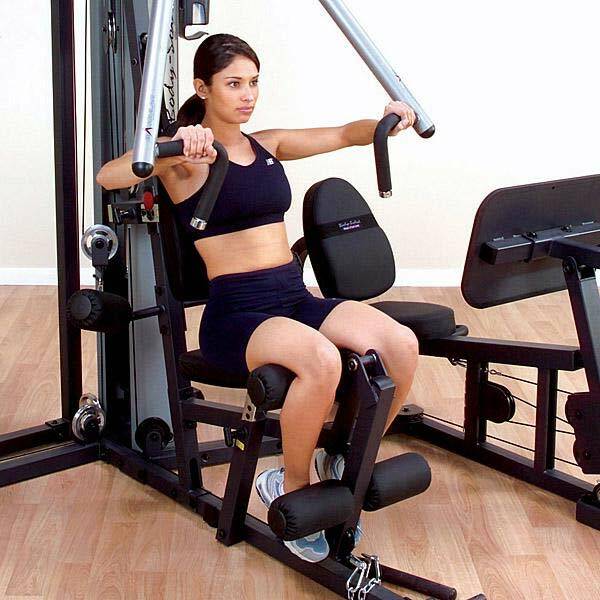 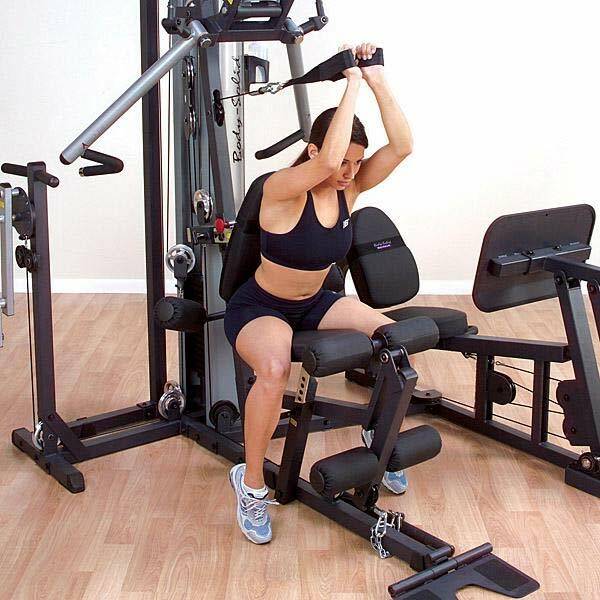 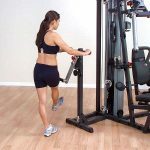 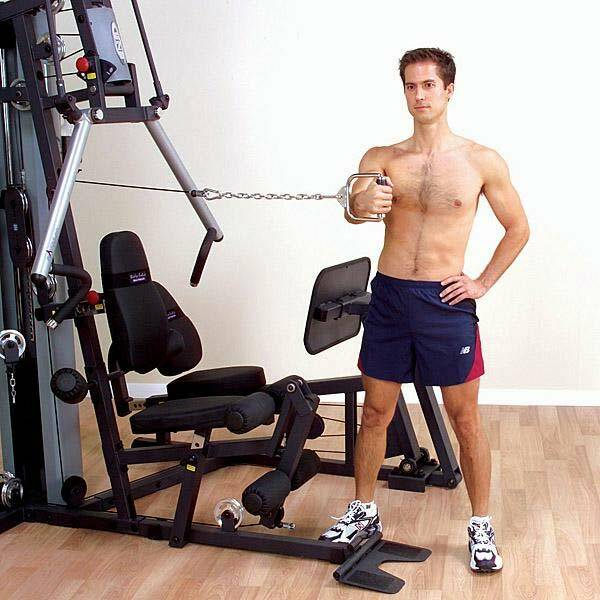 Includes commercial style multi-hip station with multiple start positions that provide resistance in either direction for emphasis on your hip, thigh and glute areas. 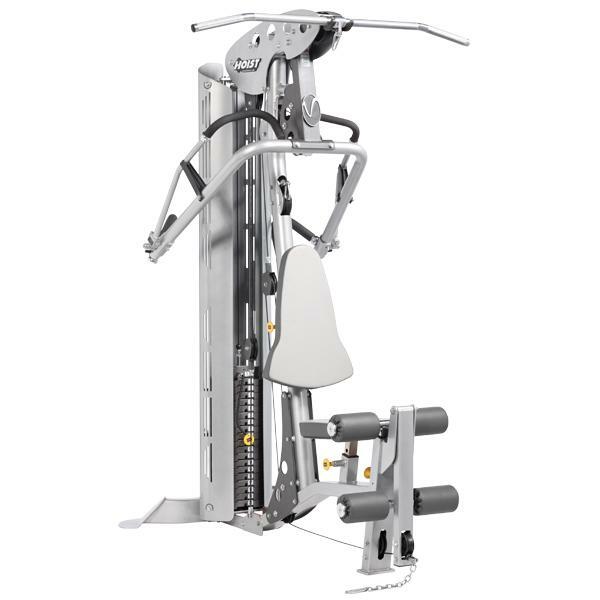 Leg developer station features the SmoothGlide Bearing System™ with biomechanically accurate pivot point. Upholstered rollers on leg extension, leg curl, multi-hip and lat hold down stations. 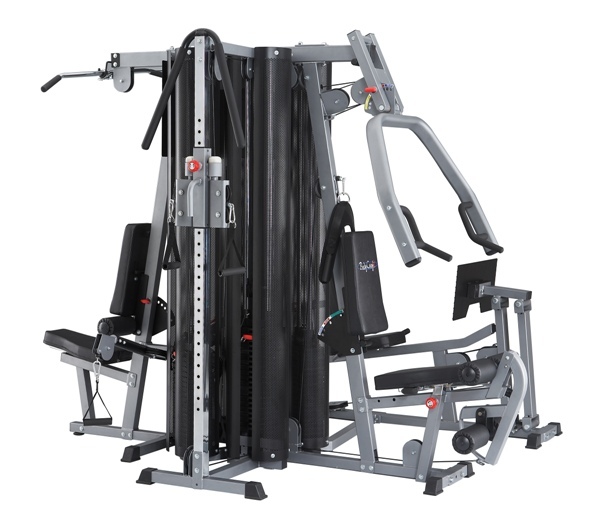 Heavy duty 12-guage steel construction provides ultimate strength, function and durability. 4½” pulleys are impact resistant fiberglass reinforced nylon with precision machined steel ball bearings for prolonged cable life, smooth movement and maximum durability. 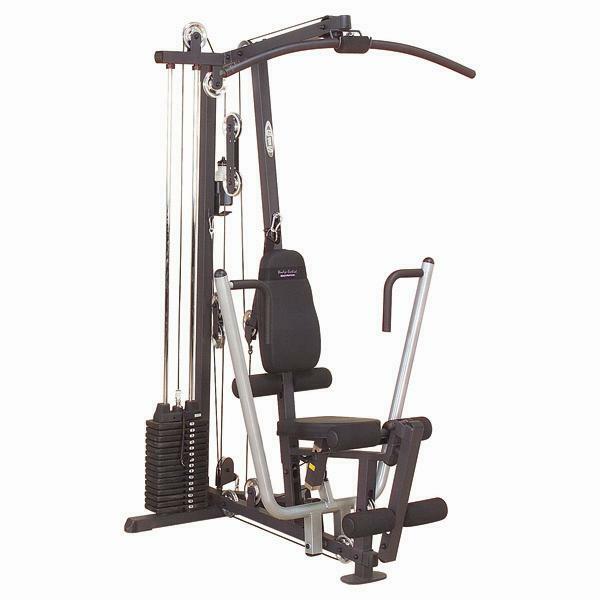 Includes revolving lat bar, revolving straight bar, ankle strap, ab / triceps strap, Total Body Workout™ DVD, full size exercise chart.